How Do You Use Media and Technology to Teach the Election? The ads come at us from every direction: for governor, senator, different propositions on the ballet. It's an exciting time to be in politics, but also an educator and a student. 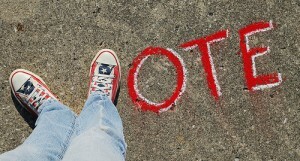 What creative ways are teachers using media and technology to teach election issues in class? I'll compile resources from comments and post it at the end of the week.